The heavenly Maya Bay in Phi Phi Islands is currently closed indefinitely, but don’t let that crush your tropical dream. While the Thai government is guarding this southern gem in order for the ecosystem to restore itself, there are other great choices for island hopping in Southern Thailand. Jaw-dropping islands fill both Andaman and Thai Gulf coastlines and there’s a time and place for them all. To save your holiday, here are the best Thailand islands along with the best time to visit from our personal experience. Now even the monsoon season can’t cloud your sunlit island siesta! Since Thailand lies between the Andaman Sea on the west and the Gulf of Thailand on the east, Thailand monsoon season varies from coast to coast. The good news is, there are always sunny beaches to lay on all year round. Thailand has two major monsoons. The southwest monsoon whirls out from the Indian Ocean from May through October, bringing constant drizzle and heavy rainstorm to the whole country. The northeast monsoon from the Pacific Ocean blows through the South China Sea and hits the east coast of southern Thailand from November to February. Now, if you don’t have a mental map of Thailand and are struggling to locate the dreamy islands, we’ve rounded up some of the most beautiful ones on each coast below. 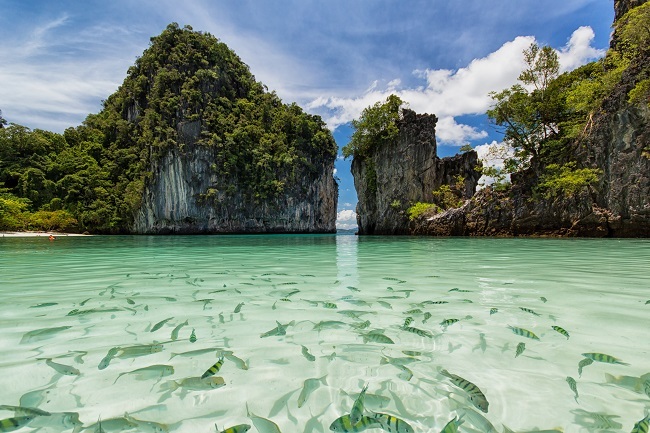 Krabi (Railay Beach), Phuket, Phi Phi Islands, and Koh Lipe are among the grandest and best-known names when it comes to islands on the Andaman coast of Thailand. High (we’re talking about the travel season) and dry, during November and March, they make for idyllic tropical Christmas, New Year and Valentine’s destinations. Even with Maya Bay closed, there are other beaches around Phi Phi Islands. Some tourists will probably give up on Phi Phi Islands for now, so you can laze around without the crowds. But if you want to save Phi Phi Islands for later, Koh Lanta is another gorgeous island in Krabi. Relaxing vibes and wonderful underwater world, tempted now? 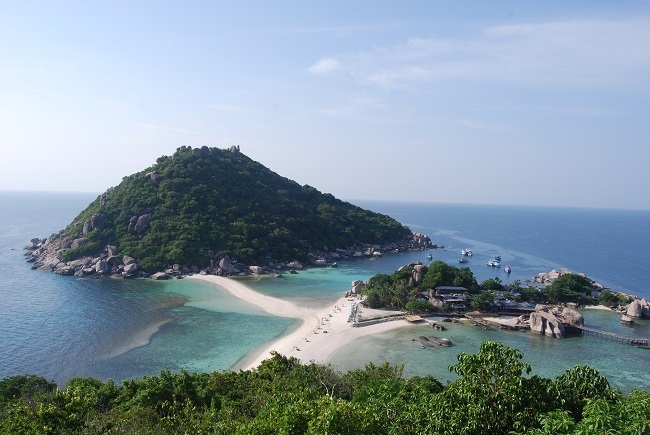 Koh Tao, Koh Samui and Koh Phangan instantly spring to mind when it comes to the east coast. Sunny during most foreign travelers’ summer holiday and located less than one hour via speedboat from each other, the islands are hopped on and off by global feet. In case you’ve already picked out the coast but not the islands, our TakeMeTour Local Experts will be more than happy to take you on a Cruise from Phuket to Phang Nga Bay on June Bahtra or a private Koh Yao Noi boat tour. Or if you’re up to exploring more than just our beautiful beaches, check out 100 Best Things to do in Thailand and happy roaming!